It’s really hard to know when an abused and neglected child will appear unless someone within the family or friends report these inhumane acts. Like what happened to a young and filthy long hair boy who was seen riding in the back of a waste cart with a pig. And it seems like he’s been treated as one of the animals. 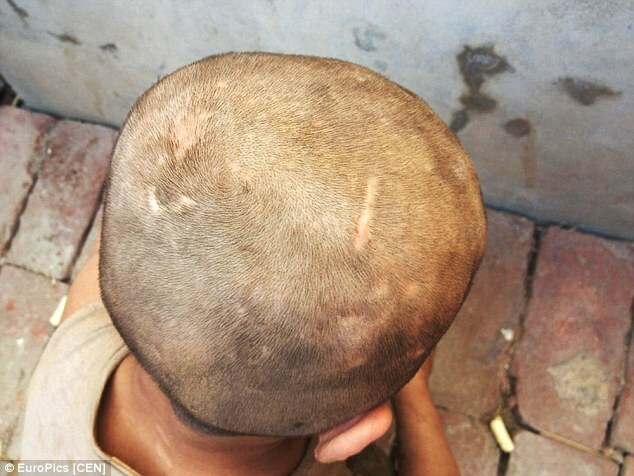 They found the boy in one of the pig pens, covered in filth and dirt with bruises and cuts all over his body. 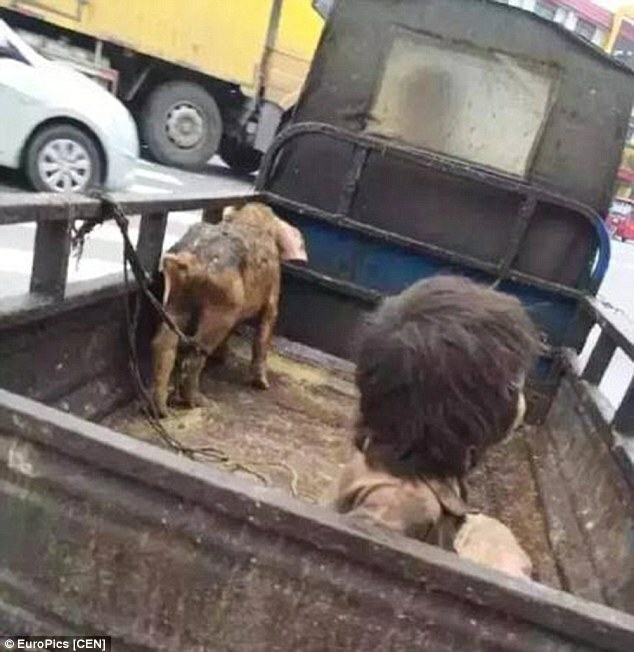 According to the investigation, the boy named Liu Hongbo was living outside with pigs and at seven years old he’s unable to communicate with humans. 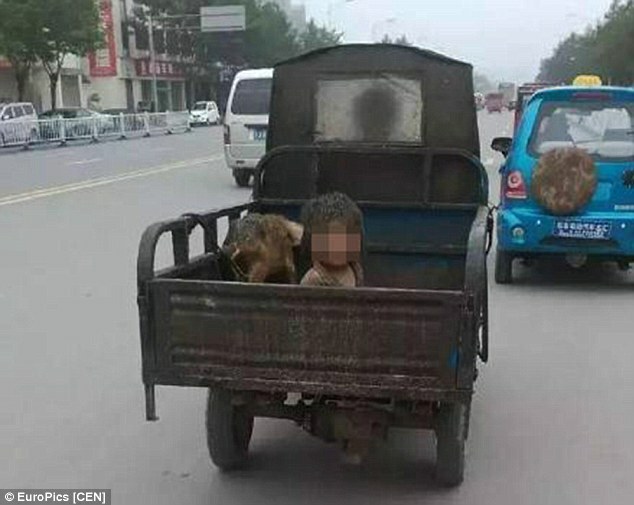 Neighbors revealed that little Hongbo was often heard crying after his mentally challenge mother beats him, while his father raised pigs for a living and riding rickshaw. 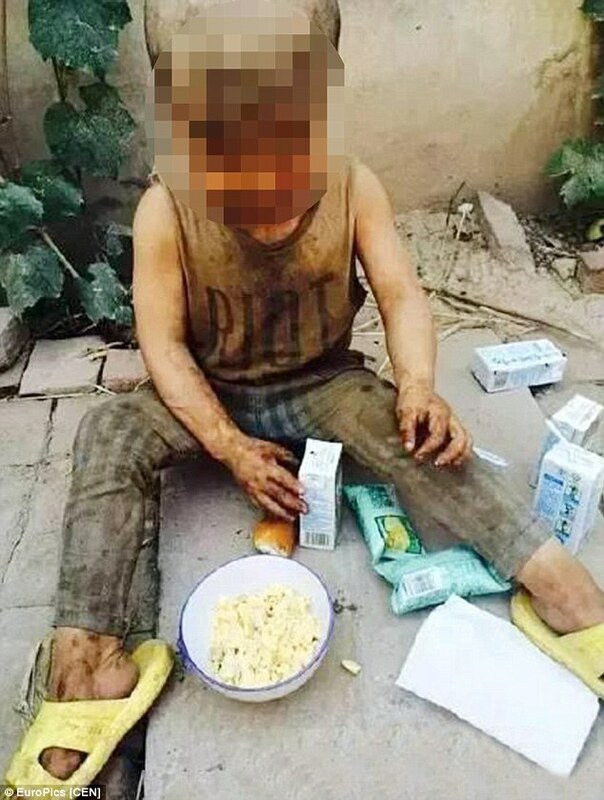 Shockingly, Hongbo’s parent had five children already and only two survived. 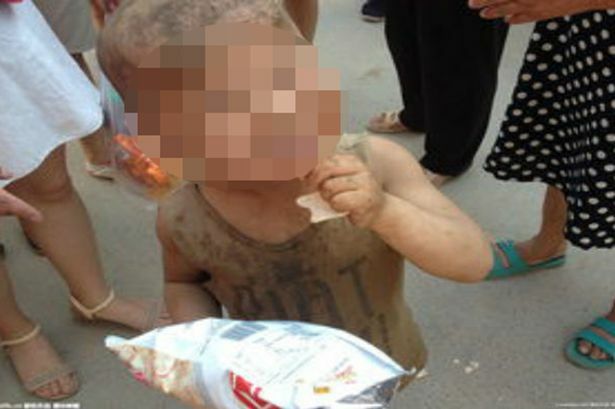 His aunt took away his younger brother right after he was born and Hongbo was left living with his parents and was mistreated big time. 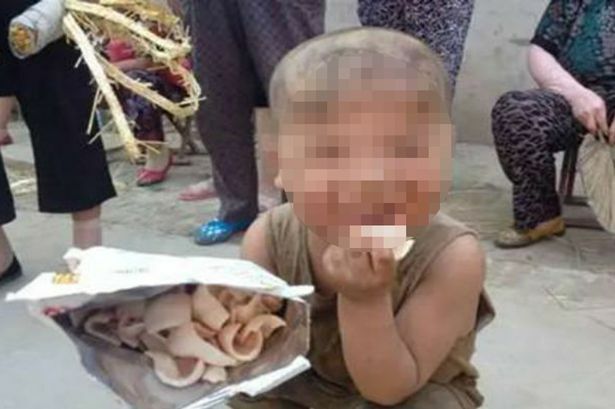 Since the visit from Puyang Loving Society, Hongbo received much-needed medical help and experts believed, once he was put in a normal and loving environment, he would still be able to learn to speak and have a normal life. 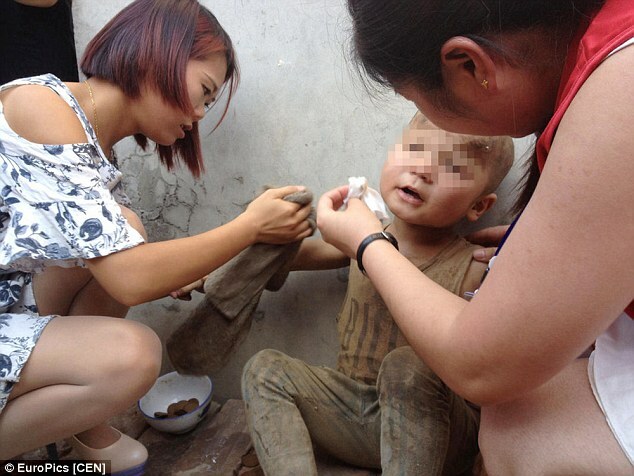 Little Hongbo will be staying with his aunt reuniting with his younger brother and he will be getting a monthly allowance of 500 Yuan ($80) from the local government until he turns 18.